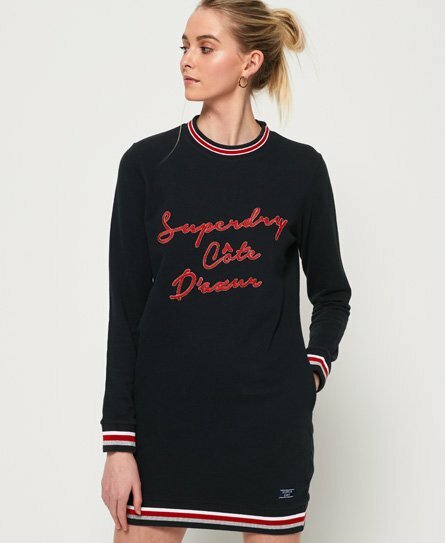 Superdry women's Sophia sweat dress. This sweat dress features long sleeves, pockets in the side seams and ribbed collar, cuffs and hem. Finished with an embroidered Superdry logo across the chest and a Superdry logo badge.